I really need your help because I have a problem with my car already for 6 months. The car run out the battery in 2 days if I don't use it. I went to the dealer and they told me that the Rear Sam could be the problem. I changed it but in vain. I removed all the fuses, I disconnected the driver's and passager's seats control module ( a common problem that drain the battery) and I have measured the battery but I didn't find the problem. Sometimes but very seldom the consumption is 0.08 A which is the normal one but if I repeat the measurement after several lock/open doors, the consumption doesn't decrease anymore. I found a cable that goes from the prefuse box (near the battery) to the interior fuse module and has a high consumption. Somebody told me that the key lock ignition switch could be the problem... but nothing is sure. I would really appreciate some advices from you and hope that I'll fix that problem. I have the same problem and no one seem to have a solution for this draining of the battery. First I changed the battery, then came the alternator, then the control module, and with all of those changes battery dead after 2 weeks from the dealer. took it back and now I have been advised thatTthe problem is interior light. New interior light is on order but will take 4 day shipping. 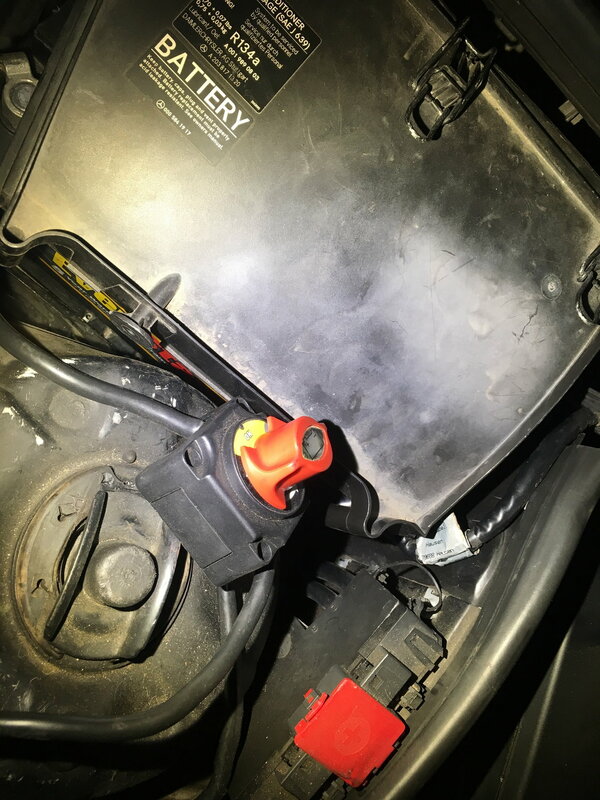 the only thing for sure is that no one know what is causing this problem,.There is only one solution, buy a NOCO Genius G15000 Ultra Safe Smart Battery Charger connect it and keep it in the trunk at all time until someone come up with a solved problem. Thank you for your advice. My car is still in service, but for now nobody identified my problem. I also change the battery and now I changed some parts from alternator like alternator relay. However it seems to be a module that doesn't go to sleep, but it is very hard to identify which one is it. In order to use the car I remove the battery terminal but definitely a smart battery charger is also a good solution. How did you realise that the problem could be the interior light? I was talking to a tech the other day about selling my c32 because I was fed up with the battery drain issues. He mentioned that the CD changer in the trunk will fail on and drain the battery. Could be the driver or/and passenger seat module. They are under the seats. You can disconnect them and see if there are some changes. Thank for all the advice you gave to me. @insame1: I have a CD changer in the glove box. I don't know how to identify the problem because I removed all the fuses and nothing change. The consumption is about 0,98 A /h. In reference to draining of the battery on my E350 2007 with only 96,300 miles. I took it to the Mercedes Dealer after being told the alternator was the cause, the Mercedes ran the test and found the Gateway Module was draining at 2.5 amps, changed it by installing a new Gateway which it to 0.02. This lasted for 3 weeks in which the battery drained again, towed back to the dealer and this is when they told me about the interior light is draining the battery. The part is now on order but after reading the same problems being posted here, I think I will not allow the shop to install the new light because I think the problem is deeper and will show up as another item to be replace. Going forward I will only use the ultra safe smart battery charger for a while or until someone can post the real solution for the battery draining problem. I've been having this issue for the past 6 months. No idea what it is. Time to sell this POS. I have had so many small issues with it, one causing me to be stranded twice, that I am over the good features of the car. I need a little more reliability than this from a 64K mil car. After this ordeal car ownership is over, I will lease for now. Indeed, it is very hard to say what cause the battery drain. When I will find the solution I will post here. I also kindly ask you to tell me if the problem is solved after you change the interior light. Let's hope everything will be OK. If you are looking for the best price, just contact me. what is this junk. We get spam in the forums now. great. The only error on the STAR is : S40/4 (TPM touch switch with variable speed limit). Can this error lead to battery drain? Have you tried a new quality Battery? And I take it the garages have Performed a Parasitic Draw Test? Yes, I replaced the battery with a new one (Varta). In fact, that was the first thing I made after I noticed that the car has no power, because I thought that the old battery is the problem. Recently, I've discovered some interesting. 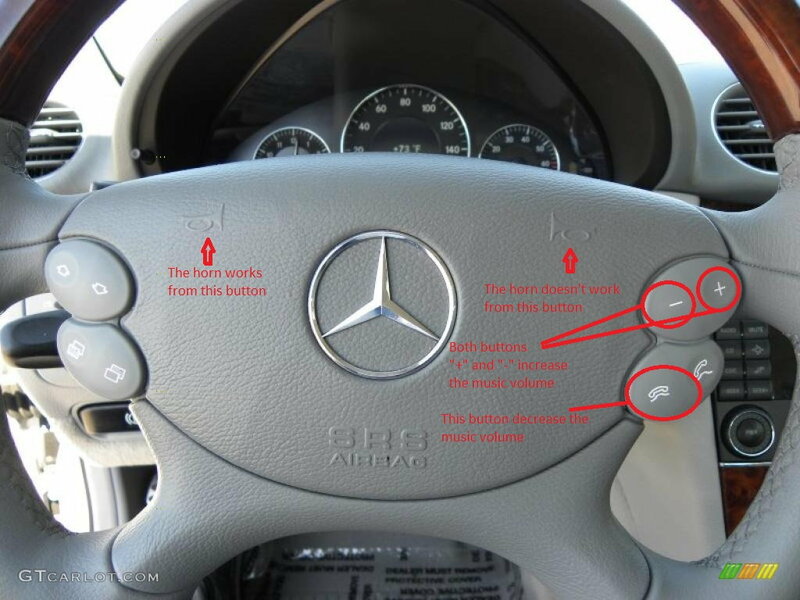 The steering wheel controls from the right side didn't work property sometimes (see photo). Check to see if there's a mouse nest under the dash! Seriously! I also thought about this but I didn't see anything. The Parasitic Draw Test needs to be done First then I would be taking the Steering wheel off to see whats wrong with it. You didn't fix the issue though. I sold my c32 because of this and it burned shortly after. Last edited by insame1; 03-28-2019 at 10:19 AM.